Happy 30th Birthday, Florin B! Happy 30th birthday, Florin! We love you! Happy Valentines Day from the House of New Life! Florin received a police car with lights and sounds. It was a hit! Cami received a toy cat that meows. Laura was happy with her Christmas lights, as she wanted to decorate her room. Marcu received a smart phone toy, also a huge hit! We also had a group of teens from a nearby high school come and sing Christmas carols with us. We love getting visits from the local community, their visit was a wonderful treat. Some encouraging news! Selgros, the retailer where we do our shopping for the House, invited us to a special event. Every year, they organize a dinner party to celebrate their top clients. At the end of the dinner party they organize a raffle, selling tickets for a few things they intend to offer. The money raised from this raffle they offer as donation to an organization (NGO). This year, they invited us as recipients of this donation! Here, Ligia and Mari were there to receive the donation, as well as to enjoy a wonderful dinner party. The donation was for a little over 1000 Euro, about 4760 Romanian Lei. We’re so grateful for the gesture and generosity of local partners like Selgros! For the past two weeks, we’ve been blessed to have volunteers from Youth With A Mission (YWAM) at the House. We had so much fun doing crafts, singing songs, and dancing with our friends! YWAM has made visits to the House in the past and we always love having them come by. We are having a good trip here. I wish everyone could be here to see how solid the work is. The House is in good working order, the addition of the handymen has really improved the storage area. The ongoing every day tasks to keep up the grounds and make repairs to the house don't go waiting. The maintenance guys are all over it. The staff and kids are well. It's a solid program, actually a large family. Vero and Mari reflect on their memories of the old PC#3. They express their gratitude for the facilities and support they have now to care for the kids and they share much more personally. All in all, a very smooth working family with very good management. The kids eat well. Lunch is soup with chicken and dumplings, grilled spicy Romanian sausage, grilled chicken and homemade french fries. The HIV virus robs their systems of calories. Each kid is small in stature and none is overweight, despite three meals each day and snacks. Vero is the woman in the first photo. She is Veronica Zaharia. She has been with the kids since their infancy, first as a nurses assistant, and now as house mother. Thank you to everyone who supports this work. We ask for your prayers for the kids’ continuing health and also for our staff. We are blessed to have such a faithful team of women who care for our kids, please pray God will continue to raise up individuals locally with a heart for this work. 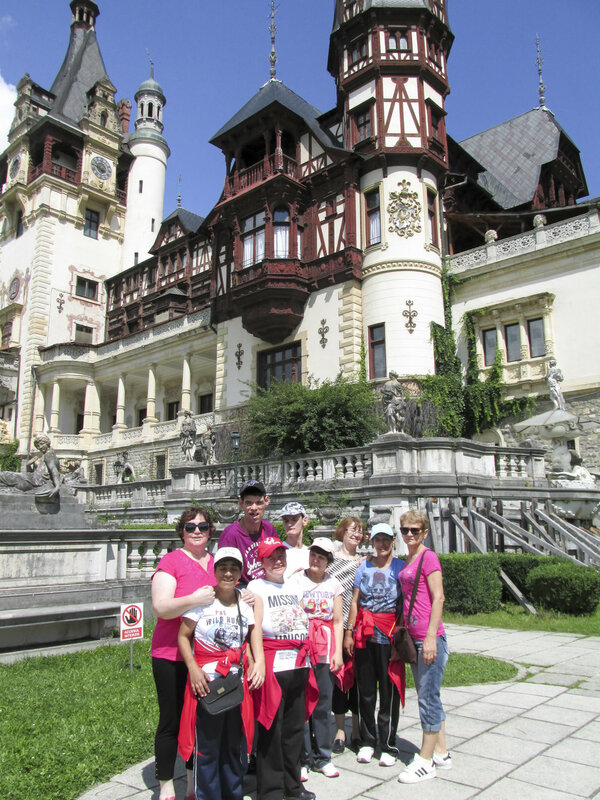 We just got back from our annual summer trip to Sinaia! Sinaia is a mountain town and resort about 4 hours northwest from where we live, and it's one of the highlights of our year. This year the weather was looking to be quite rainy, but we lucked out and got a good number of sunny days while there. We took long walks, visited the surrounding castles and even took a train ride. Everyone had a fantastic time, we can't wait to come back next year! Today we took a family outing to our local aquarium and McDonalds - two of our favorite places! Everyone had a ball as always! The cold weather has finally left us and we are enjoying a beautiful spring! We recently celebrated Easter and now two birthdays for some special girls. Birthdays are always milestone events, since back in the 1990s no one expected our kids to live much past the age of 5. We are thriving with love and good medical care! 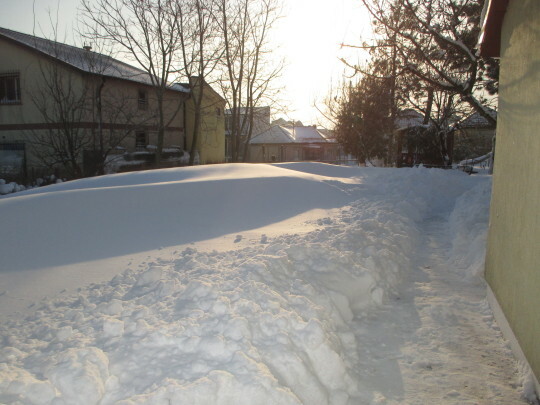 We're under a heavy snowfall here in late February. Many roads are closed and our team is pulling triple shifts to cover staff who can't drive to the House. Thankfully we have enough heat, warm clothes, and food to see us through. Hoping for a break in the weather soon! We got our nails done today with Mari! We've had a break in the wintry weather and are enjoying some sunshine these days! As 2017 draws to a close, we are again reminded of God’s faithfulness to the Chi Rho ministry and the many blessings received by the staff and kids living in the House of New Life and in foster care. We have been privileged to witness first hand young lives redeemed and transformed by God’s mercy and grace, as well as through the loving, attentive care of our staff and our many ministry supporters. We would like to tell you the story of “Dani,” (we have changed her name to honor her request for privacy), one of our original kids living in Post Cura 3, which became the House of New Life in 1998. Dani came to see us on our most recent visit to Romania last month. Dani was born on January 22, 1989. She was the youngest of four children, but was surrendered to Post Cura 3 just a few months after her birth when she was diagnosed with HIV. We first met Dani when she was three years old and it was apparent even then that she was a “sparkler,” always offering a big smile and hug to her caregivers, other kids, and visitors. In 1998, when Chi Rho took over the orphanage and became the House of New Life, Dani was placed in one of six families that was formed. Her family was called the “Pansy Family” and she was loved by her mamas, Laura and Silvia, and her four “siblings,” who also were HIV orphaned and abandoned kids. In 2002, Dani went to live with a foster family, Doina and Peter Ilasca, where she lived for four years. During these years she reconnected with her biological family and visited them on occasion. As you can imagine, these were confusing and emotional years for preteen Dani. Seeking her independence and identity she became rebellious and anxious, and eventually returned to live with her birth family; but even this setting was difficult for Dani and her parents. In 2011, she moved out, and shortly thereafter met a young man, had a child in 2012, and settled into a new life. She loves her little boy, “Tony,” very much and takes excellent care of her young son and her home. She tells us that she and her fiancé are saving money to get married. Dani often takes Tony to church so that he can be exposed to Christian kids and families. It had been five years since we last saw Dani when she surprised us with a visit last month. What a joy to see this gracious and loving young woman show her “sparkle” again! She was thoughtful in her sweet comments to us regarding her early years at the House of New Life. She expressed her gratitude and appreciation for the love and care she received, and said,“after you came, we knew we were not alone.” She also remembered her longtime sponsors, Cheryl and Rob Guzzetta from Saratoga Federated Church and their faithfulness to her over many years. Dani’s story brings us full circle to the reason Chi Rho continues in the work God has called us to for 25 years now. 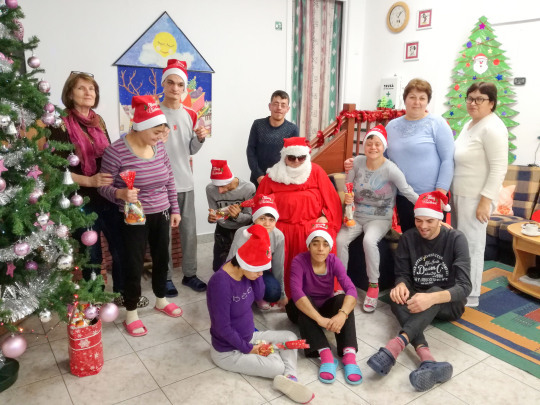 For some of our most handicapped kids, the life that Dani enjoys is not possible, but they will always receive the love and care they need in the safety of the House of New Life. It is you, our sponsors, supporters and partners in ministry that enable Chi Rho to shine a bright light in a dark place. We know that you have many requests and opportunities to give at this time of year. We pray that you will remember our kids in prayer and, if it is within your means, that you would consider providing a monetary gift of any size. Your support makes an enormous difference in the lives of the kids and is a tremendous blessing to our staff in Romania. 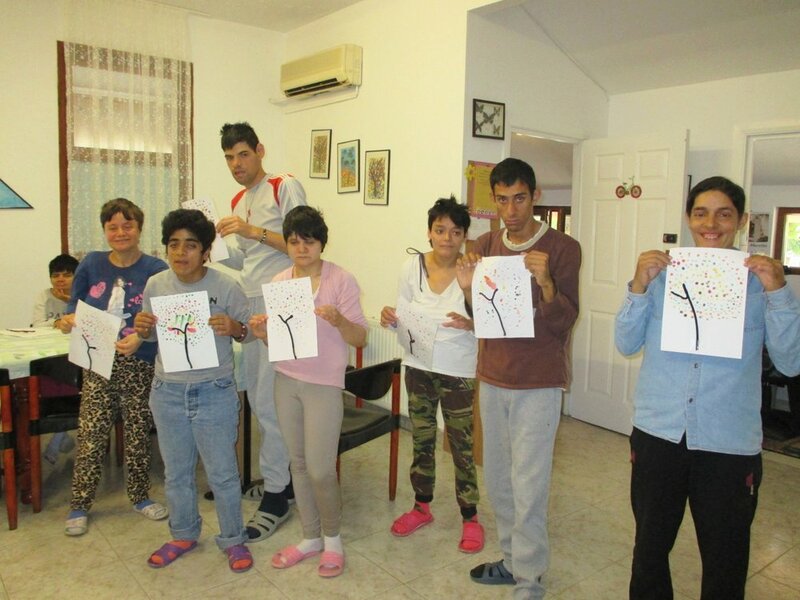 Please visit our site, chirho-corp.org, for more updates on all our kids. You can also make a secure online donation there by clicking DONATE. Or, if you prefer to donate by check, we’ve enclosed an envelope for your use. Checks may be made payable to Chi Rho Corp. All donations are fully tax deductible and 100% of your gift goes toward the care of the kids. Santa came to visit us again this year. We look forward to his coming every year (starting in about spring!). We each got a special gift, and later we had some carolers come to visit, too. We had a wonderful time, thank to all our supporters for making this tradition possible for us every year. We wish you all a blessed Christmas alongside with your family members and dear ones! We’re back from our annual summer trip to the mountains of Sinaia! We were there for 5 days and we enjoyed wonderful weather, saw lots of sites, and enjoyed many walks around the park. One of the highlights was going up 1400 meters by gondola, as well as some great home cooked meals prepared by the staff who came along with us. the rest of the kids enjoyed the park and had fun with playing equipment. This trip is always a highlight of our year, and we thank everyone for making this possible again this year! Mari, our special educator, found another fun art project - making our hand prints in flour. It was a big hit! 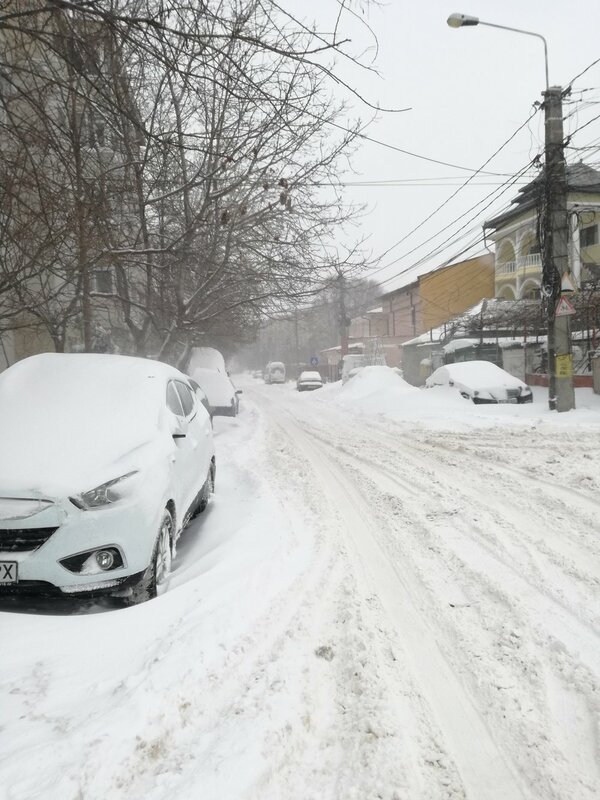 It’s summer in Constanta. Time to hit the beach and enjoy some ice cream! We finally got outside after our big snow!